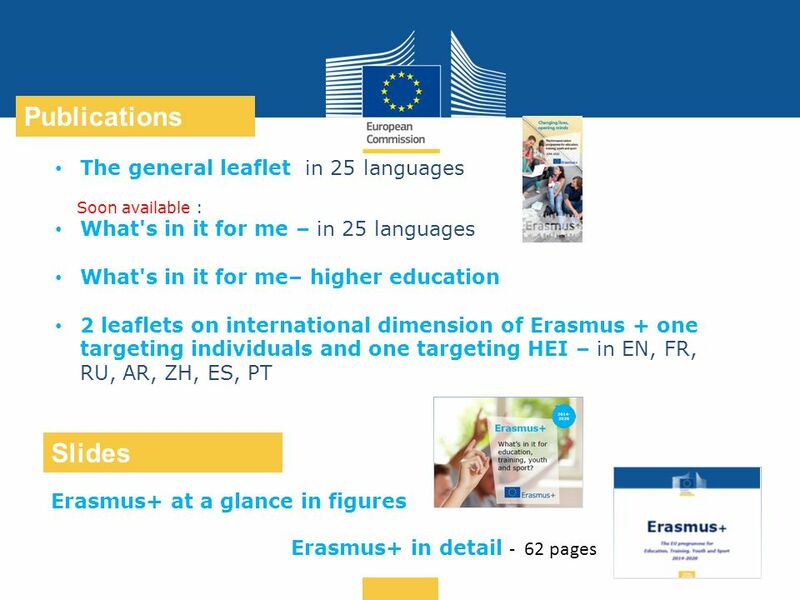 Date: in 12 pts … in other words How to promote Erasmus+ worldwide: Tools and resources available. 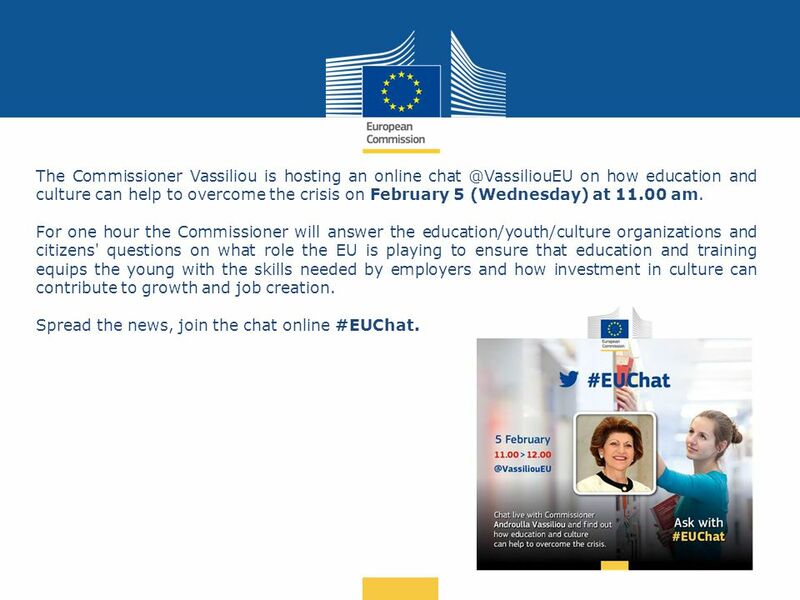 3 Date: in 12 pts … in other words The Commissioner Vassiliou is hosting an online chat @VassiliouEU on how education and culture can help to overcome the crisis on February 5 (Wednesday) at 11.00 am. 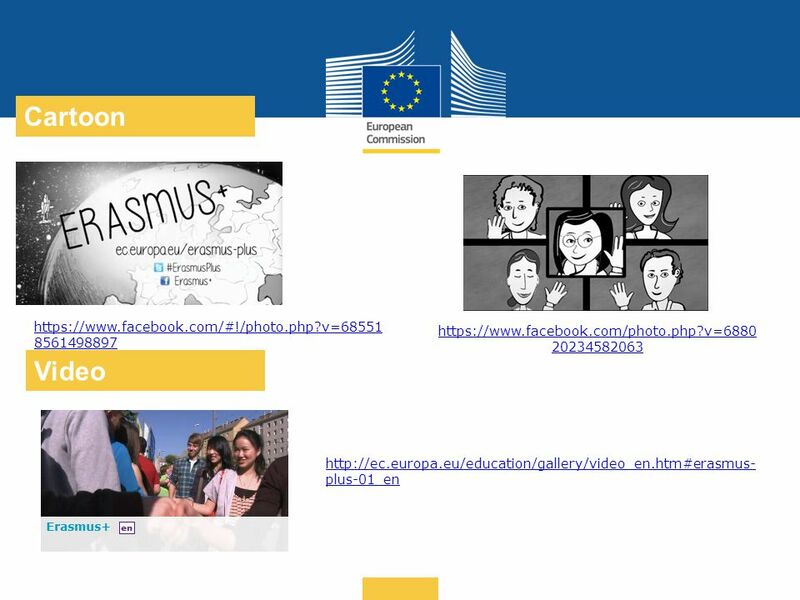 For one hour the Commissioner will answer the education/youth/culture organizations and citizens' questions on what role the EU is playing to ensure that education and training equips the young with the skills needed by employers and how investment in culture can contribute to growth and job creation. 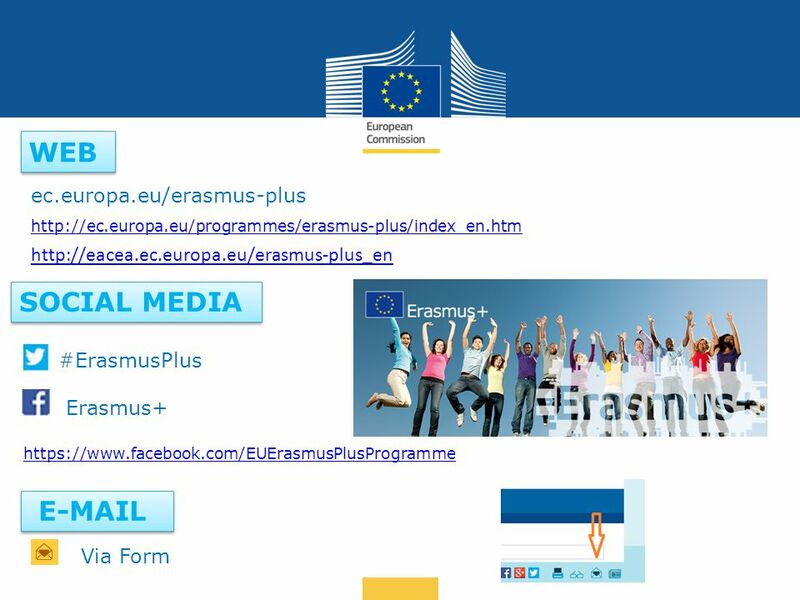 Spread the news, join the chat online #EUChat. 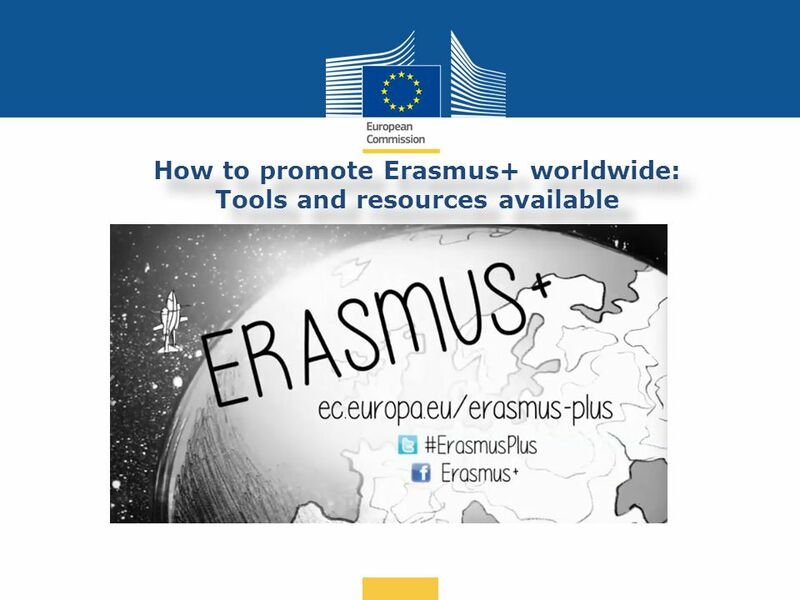 Download ppt "Date: in 12 pts … in other words How to promote Erasmus+ worldwide: Tools and resources available." Youth unemployment across Europe: the impact of the recession and potential solutions Christiane Westphal Policy co-ordinator Youth employment European. 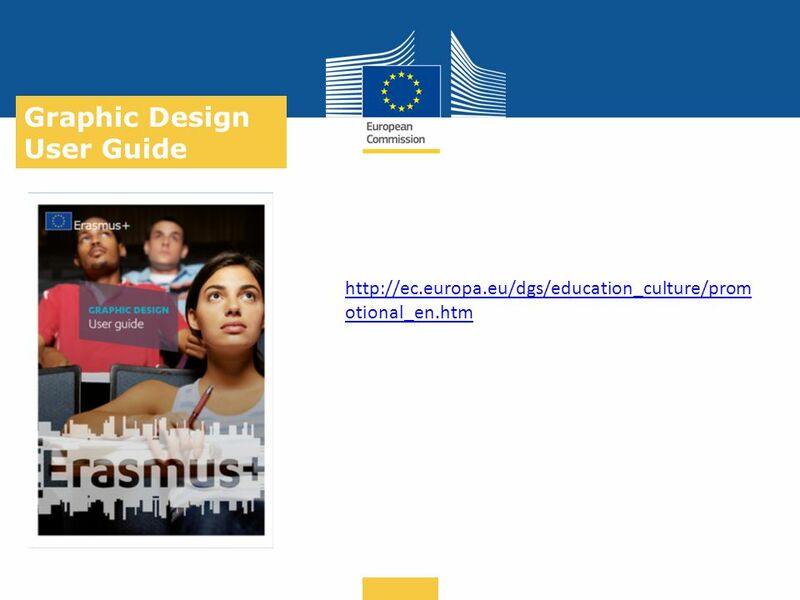 1° Transnational Workshop – Rome 3rd- 4th February PROJECT WEBSITE AND PROJECT GRAPHIC DESIGN 1. Creative Europe February 2013 Monica Dimitriu Culture. 30 May package - « Chapeau » Communication on Action for Stability, Growth and Jobs - 27 Country Specific Recommendations + 1 for Euro-area - 27 analytical. Customs valuation Brussels 12 December 2012 John Malone JOINT CUSTOMS AND TRADE FACILITATION FORUM: A CUSTOMS STRATEGY FOR THE CONTINENTAL FREE TRADE AREA. Protection of knowledge in the shipbuilding industry a follow-up of LeaderSHIP 2015 Rotterdam Workshop 04 February 2010. 1 Document Search and Users Guides Document Search and Users Guides, Morten Greve, DG REGIO Train the trainers European Commission seminar for managing. Teacher Name Class / Subject Date A:B: Write an answer here #1 Write your question Here C:D: Write an answer here. Welcome Croeso. helping you find out about the European Union and the countries of Europe promoting debate about the EU and European issues encouraging. Welcome Croeso Cardiff EDC News September helping you find out about the European Union and the countries of Europe promoting debate about the EU. Welcome Croeso Cardiff EDC News March helping you find out about the European Union and the countries of Europe promoting debate about the EU and. 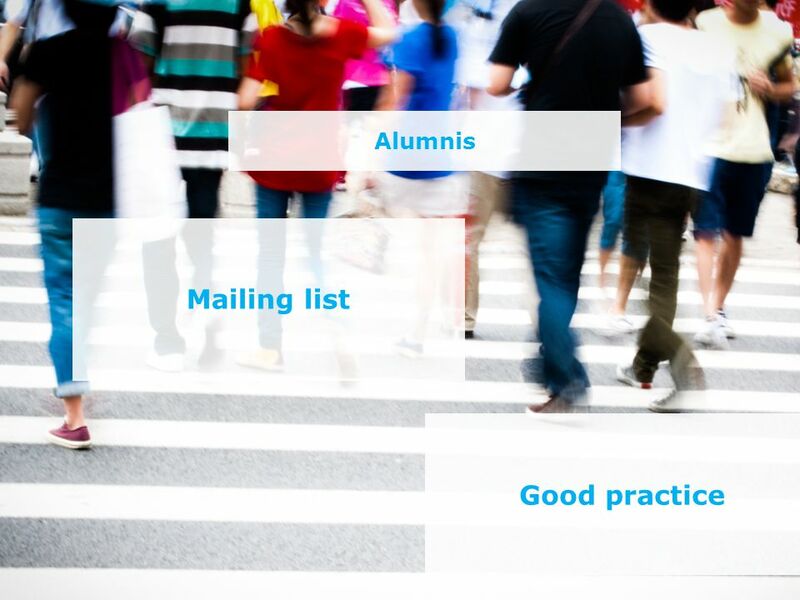 Welcome Croeso Cardiff EDC News June helping you find out about the European Union and the countries of Europe promoting debate about the EU and. Date: in 12 pts Platform 4 Eastern Partnership Eastern Partnership Civil Society Forum, WG 4 Brussels, 16 June 2015 Marta Touykova, Platform 4 Coordinator.